By now, you should know already that you would not make a lot of money while taking online survey. However, if you are interested in making some extra bucks, surveys are a viable option. 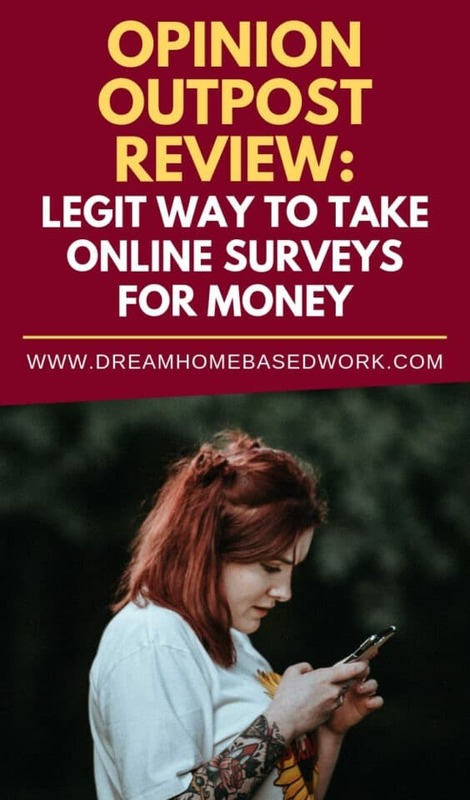 Making money through survey websites is one of the best ways to make extra bucks from the comfort of your home. Records have shown that some survey websites have up to a million active users. This goes to tell you that online surveys have grown so huge in popularity. If you search online, there are numerous survey websites to choose. However, you must be careful not to fall prey to fraud websites. In order to help you, I will be sharing reviews on various online survey platforms. 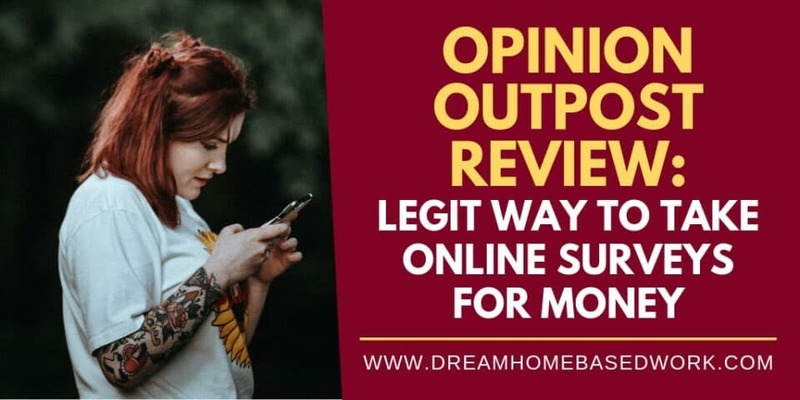 In this post, I will be sharing a detailed review of Opinion Outpost, one of the most popular survey websites on the web today. Go here to sign up with Opinion Outpost or keep reading to learn more. Opinion Outpost is a popular online survey platform that pays users for their opinion. The company gives its users to take surveys where they can air their opinion on certain issues. The company then rewards the users after they have completed the survey. Opinion outpost is owned by world renowned Survey Sampling Company. The company is based in Connecticut, United States. Opinion Outpost has been in existence for more than 10 years. This is why most people consider it among the forerunners of online survey. Like every other survey websites that you may have come across in the past, Opinion Outpost is also free to join. All you need to do is go to their website and click the sign up button. You do not to provide much information. The information needed during sign up are your name and email. If you wish, you can also join Opinion Outpost by linking your social media accounts. The process of signing up on Opinion Outpost is simple. There is no need to provide unnecessary details such as your credit card number or other personal details. RELATED: Best 22+ Ways To Take Online Surveys for Money, Completely Free! Once you complete the sign up process on Opinion Outpost, the site automatically redirects you to another dashboard. This dashboard shows all your personal information and points that you have accumulated. On the dashboard, you will also see a link that shows take a Survey. Clicking the link will show you a list of available surveys. Opinion Outpost also sends you a list of available surveys to the email you provided during sign up. Before you take any survey on Opinion Outpost, you will need to answer some simple questions. According to the company, the information you provide during this session will ensure you have a better experience and enhance your chance of earning multiple rewards. After you have provided answers to the questions, the answers you provide will determine whether you qualify for the survey or not. If you qualify, Opinion Outpost will link you to the survey. The company will provide you with information on the time it will take and how much you will earn from the survey. Every survey starts with almost the same basic question relating to age, gender, and income level. You will then move to questions that are more specific on the opinion you are providing. The tasks vary with each survey because each survey is for a different product and service. How much can I earn on Opinion Outpost? For every survey you take on Opinion Outpost, you will earn points that are equivalent to a certain amount. 1 point is equal to 10 cents while 10 points is equal to $1. The points allocated to each survey ranges from five to fifty. The beautiful thing about Opinion Outpost is that users can choose which surveys to participate in based on the points they offer. In order to redeem your cash via PayPal, you will need to have 100 points, which is equivalent to $10. To redeem your rewards with Gift cards, you need to have 50 points or $5. You can also earn up to $10,000 on a quarterly basis if you are lucky. All you need to do is enter your name into the quarterly draw after you complete each survey. Enough surveys to keep you busy. The website layout is not as modern as other survey websites. Opinion Outpost is one of the few legitimate online survey websites available. The company has been in existence for more than 10 years and with a loyal user base combined with lot of positive reviews, you can be sure that Opinion Outpost is the website you need. To get started, go here to create your free account with Opinion Outpost. If you enjoyed this post, check out these survey websites too!